Jessica rushes Luke to the hospital. He has no visible injuries but she did shoot him in the head to stop his Kilgrave-induced attack on her and now he's unconscious. At the hospital, the doctors treating him are unable to penetrate his skin with the needle. Claire Temple comes over to help and discovers his impenetrable skin. Another doctor tries to put a drill to his skull to relieve the pressure building in his skull but it doesn't work. She realises she is one of the gifted people and tries to get a consultation. When Jessica sees some police officers coming, she lifts Luke's body into a wheelchair and Claire agrees to help treat him. Jessica is stopped by a nurse under Kilgrave's influence (which he can now use through phones) who has called to talk to her for the purpose of antagonising her. She sends Claire to go to her apartment and bring Luke there to be treated. Jessica tracks Kilgrave to the security surveillance room in the hospital but when she reaches it he is already gone. Jessica is attacked by a security officer that shoots at her and chases her. But then Kilgrave broadcasts an announcement throughout the entire hospital claiming that they've all been poisoned and must hunt Jessica down in order to save themselves. Jessica is able to escape the hospital but not without a scalpel cut to her leg. Jessica gets to her apartment just in time to help Claire, who needs to go through the optic nerve in Luke's eye to drain the excess fluid in his skull to save his life. Jessica has to hold his head still despite his having a seizure so Claire can work. They are successful and must now let Luke heal and hopefully recover and wake up. Claire treats Jessica's leg wound and Jessica decides to try to track Kilgrave down by checking Luke's phone, as Kilgrave had been keeping in contact with him to command him through calls. Kilgrave had the remains of Hope's baby retrieved from the lab that Jeri had them stored in and Albert has used these to create a drug that will further enhance Kilgrave's abilities. The injection is painful but Kilgrave hopes that it will be enough to finally reassert his control over Jessica. Jessica tracks down the apartment that Kilgrave has been operating out of just in time for a gravely wounded Albert to tell her that his abilities are much stronger now. Jessica calls Jeri to confront her about the samples but Jeri is more concerned with Pam's arrest and imprisonment. Jessica and Trish head out to confront Kilgrave. Trish dons a hoodie and acts as a distraction, with music blasting through headphones to keep from falling under Kilgrave's control. When Jessica reveals herself, Kilgrave commands some police officers present to shoot at her as he gets away. He is preparing to get away on the yacht belonging to the couple that owned the apartment where he had been running his experiments to enhance his abilities. Jessica and Trish head out to the dock and must stop a swarm of people that Kilgrave orders to kill each other while he tries to get away on the yacht. Trish's headphones get knocked off in the commotion. Jessica charges through the people fighting, continuing towards Kilgrave. Kilgrave shouts "stop" and everyone stops fighting and moving, including Jessica. He thinks that she's faking it so he calls Trish over as his new hostage. When Jessica still doesn't jump at him, he begins to believe that the experiments worked and he finally has control over Jessica again. He is prepared to leave with Trish, saying that if they ever see Jessica again, Trish needs to slit her own throat. He even has Trish kiss him but still Jessica doesn't move. He walks away from Trish, who is still standing by the boat, to walk over to Jessica. He tells Jessica to smile and she does. He then tells Jessica to tell him she loves him but she says it to Trish instead before lifting Kilgrave up, telling him to smile, and then snapping his neck. Everyone on the dock is freed from Kilgrave's influence but Jessica is arrested for Kilgrave's murder. Luke Cage finally wakes in Jessica's apartment and Claire advises him to go slow, filling in on what happened to him and why he's now there. She also tells him that Jessica has killed Kilgrave and is now in custody for it. Luke appears relieved that Jessica finally did it. He doesn't want her to be in prison for what she has done and tries to get up but Claire stops him. Luke realises that the police must be looking for him for his attack on them when under Kilgrave's influence but Claire tells him that with everything that happened at the hospital and then on the docks, the police will not be looking for him since they're too busy dealing with everything else. Still, Luke disappears from the apartment. Jeri is able to get Jessica released, as everyone will be prepared to testify to the truth about Kilgrave and if they need a story to use to explain it, they can always claim it was a gas leak that caused everyone to act out. Jessica appears moved by Jeri's passion in the speech she gives about Kilgrave's influence. 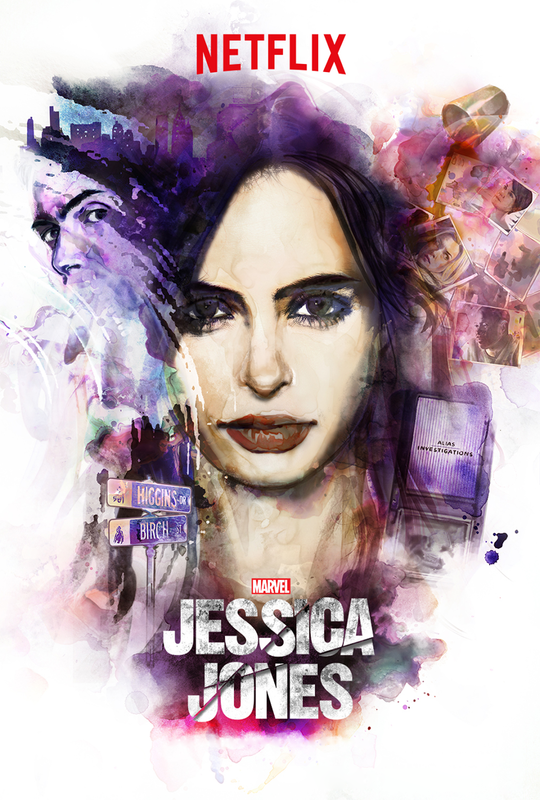 Considering how many police officers had shot at Jessica Jones, the prosecutor has no choice but to let Jessica go. Now Jessica will be busy with a whole new wave of calls from people in the city that have heard about her abilities and need her help. Trish is also shown to have received a package from her mother containing more files on IGH -- likely a plot to be developed further in season two. Marvel's Jessica Jones will return for season 2 on Netflix.